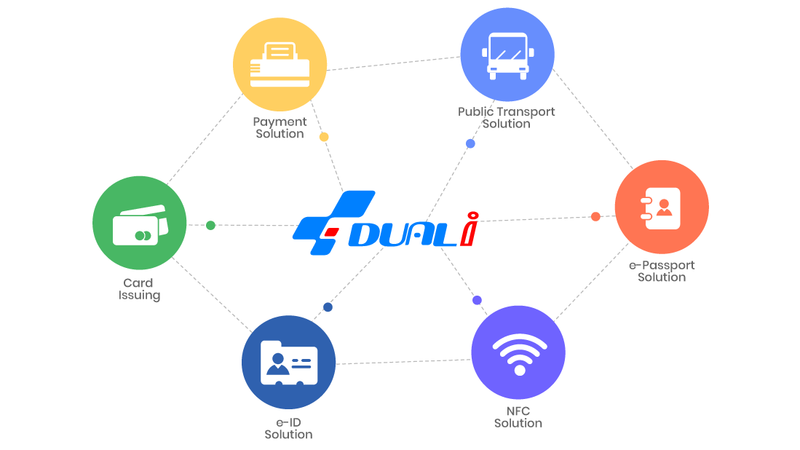 DUALi Inc. is an innovative smartcard solution provider, specialized in secured high-end solutions, such as e-ID, e-Passport, e-Payment & NFC. We provide line-up solution from the hardware to software (full packed SDK & FDK). DUALi also offers customization for some of these products to meet specific needs of customers. clients with the latest technologies & our accumulation of experience and knowledge. We believe the efforts of DUALi, which pursues convenience in human life, will continue into the future. distribution of our products has been verified by third-party audits. DUALi also gained TQM statement of compliance by MasterCard in 2012. DUALi’s hardware products also have KCC / CE / FCC / IC / TELEC and NFC forum certifications. It is different by products. Check the certification status from the product page.